Until recently, Russian musicologists have long denied that composer Piotr Ilyich Tchaikovsky(1840-1893) was a gay man. He had a string of relationships with men, back from his student days up until his death. Tchaikovsky had a distinct taste for younger men, and his lovers included poets, musicians, servants and other members of the lower classes. Several sources report that when traveling abroad he sometimes used male prostitutes for sexual gratification. Tchaikovsky was tormented by his suppressed homosexuality and the constant fear of exposure. Although he married one of his students, his attempt at straight family life was disastrous. Even though they remained married, he and his wife had no children and did not live together. Within two weeks of his wedding Tchaikovsky tried to kill himself, hoping to catch pneumonia by plunging himself into the Moscow River. At the urging of his doctor, he fled to St. Petersburg and never saw his wife again, although he continued to support her. She had several children by other men, giving each infant to an orphanage; she spent her final twenty-one years in a home for the certifiably insane. All of Tchaikovsky’s successes were musical. He enjoyed world-wide fame, and the czar bestowed honors upon him and even granted him a life-long pension. The most significant of these awards was when Czar Alexander III conferred upon him the Order of St. Vladimir, which conveyed hereditary nobility. 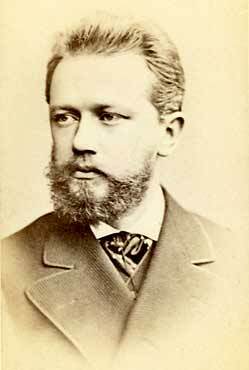 Tchaikovsky went on to achieve the greatest degree of popularity ever accorded a Russian composer. In 1891 he even conducted the inaugural concert at New York City’s Carnegie Hall. Modest, his brother, was also gay. In an exchange of letters between the brothers, Tchaikovsky’s homosexuality is confirmed and openly acknowledged. Tchaikovsky had a nephew nicknamed “Bob” – Vladimir Lvovich Davïdov (1871-1906) – to whom he dedicated the Symphonie Pathétique (1893). 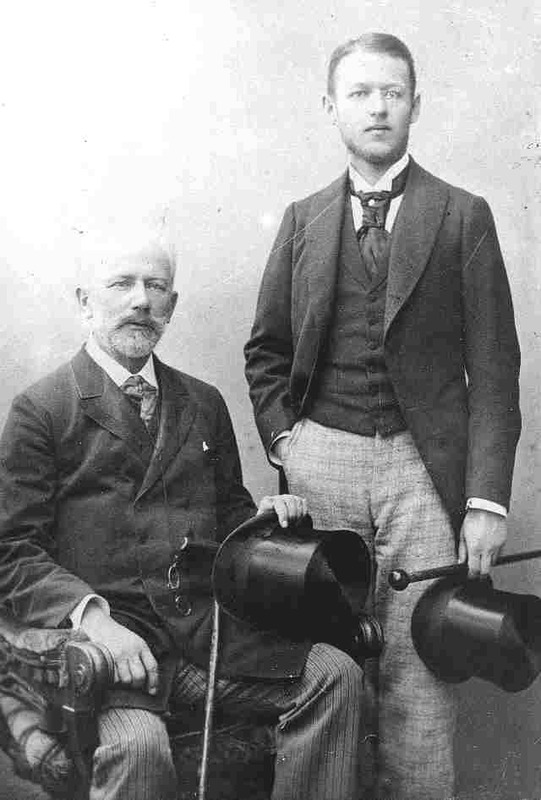 The photo at left shows Tchaikovsky seated next to his nephew. In late 1893 Count Stenbok-Fermor wrote a letter addressed to Tsar Alexander III complaining of the attentions the composer was paying the Duke’s young nephew. Exposure would have meant public disgrace, loss of civil rights and exile to Siberia for Tchaikovsky and for his fellow former students of the School of Jurisprudence. According to some reports, the letter was intercepted, and a court of honor of the “old boys” of the school required Tchaikovsky to kill himself; Tchaikovsky promised to comply with their demand. A day or two later his “illness” was reported (Tchaikovsky poisoned himself in an act of suicide), and official accounts reported a death from cholera (Tchaikovsky’s relatives later confirmed the account of suicide, also relating that Tsar Alexander III was shown the incriminating letter from Stenbok-Fermor after Tchaikovsky’s death). When he died, at fifty-three, sixty thousand people applied for tickets to his funeral, which was paid for by the Tsar; for only the third time in Russian history, a Tsar ordered a state funeral for a commoner. There are many theories about the actual cause of Tchaikovsky’s death – both natural (cholera) and by suicide (poisoning). Conflicting reports arose within days of his death. Suicide would have been a crushing blemish on the reputations of both Tchaikovsky and his countrymen. Nevertheless, Tchaikovsky was adored in his native Russia, and he was perhaps the best cultural ambassador Russia had ever had. Thirteen years after Tchaikovsky’s demise, his nephew “Bob” tragically took his own life, as well. Doing some research for the queer radio show Pink Nation, that I’ve been asked to host on http://www.voxfm.org.au/ tomorrow, Monday, 5:00 PM, I came across this gem! Perhaps I should more politically correctly describe Alberta as African American, except that she spent substantial periods of her life in Europe, having first gone to Paris with her lover Lottie Tyler in 1927. -They had met sometime between 1915 and 1917. Most of Australia is probably unaware that a peaceful battle against a mining giant is taking place in rural NSW as we speak. -And I mean an active battle. Then the mining will definitely stop! It all sounds like nonsense to me! Well, in general terms I am blessed with a goodly amount of happiness and contentment, joy and love, but in terms of the “state of the nation”, the nation being Australia, I am aghast at what is going on. 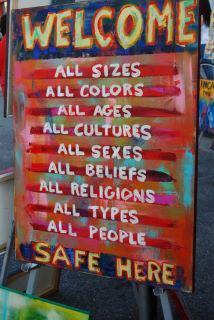 The values being espoused and the actions perpetrated by our governments seem short-sighted, inequitable and inhumane. What can I do about this? As a songwriter, I can write songs, and encourage the common people to sing. To this end, look for “Agitate in April: The Verse of the Day”, on a regular basis on this site. These are verses from a protest song, “The Nonsense Chorus”, loosely based on the traditional tune, “My Bonnie Lies Over The Ocean”, itself a song of protest song and a lament, relating to the defeat and massacre of Scots, (including McPhersons), at the Battle of Culloden in 1746. Bonnie Prince Charlie was exiled, (later to perish in France, “sodden with drink and disillusionment”). Dissent against the dominant paradigm and culture, the rich and powerful was crushed. One famous MacPherson, Ewan MacPherson, (who, aside from the interchangeable alternate spelling of the family name had the same name as my grandfather), cunningly managed to miss the battle of Culloden, and also fled in exile to France. More heroically, he, also known as Cluny MacPherson and his clansmen had defeated the British and Hanoverian forces in an earlier battle. But he may have been a bit of a rascal. Cluny may have been responsible for making off with Spanish gold, smuggled into the west of Scotland to bank roll the Jacobite rebels. There will also be practice tracks from other tracks, arrangements and original, (or originally arranged), sheet music. I am richly blessed with having a choir willing to sing some of my arrangements.